“Fasting: Opening the door to a deeper, more intimate, more powerful relationship with God” is a New York Times Best-Seller and absolutely one of the best books on the topic of Biblical fasting that I have ever read. 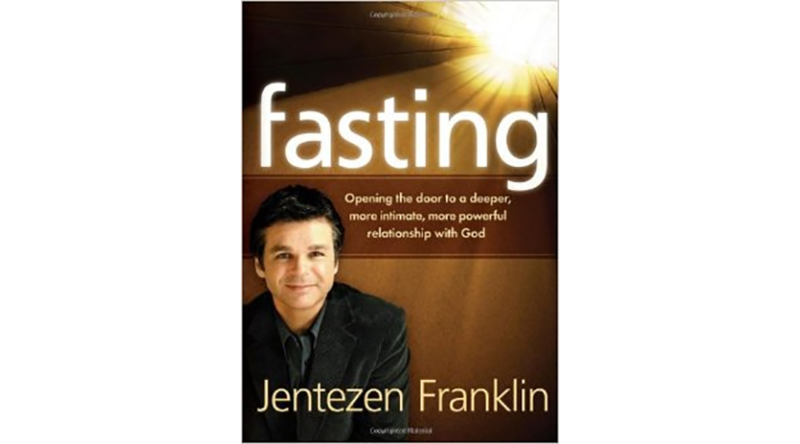 Jentezen Franklin reveals the spiritual power of fasting that unlocks massive benefits and blessings for those who participate in fasting in the appropriate manner and order. Personally, and within my family, I have witnessed tremendous breakthroughs in health, finances, and family relationships. This is a wonderful read that will help you in understanding and applying this often overlooked biblical principle in your walk and relationship with the Lord. God takes notice of our sacrifices and Franklin walks you through the process of fasting and explains the benefits of fasting in proper, biblical order.